The Western Ghats is full of beautiful hills and mountains to trek on. While some of them are easy to moderate, the others are challenging. One such adventurous trail lies in Coorg. The Kumara Parvatha Trek is believed to be tough. Home to lush vegetation, it exposes the Pushpagiri range of the Western Ghats. 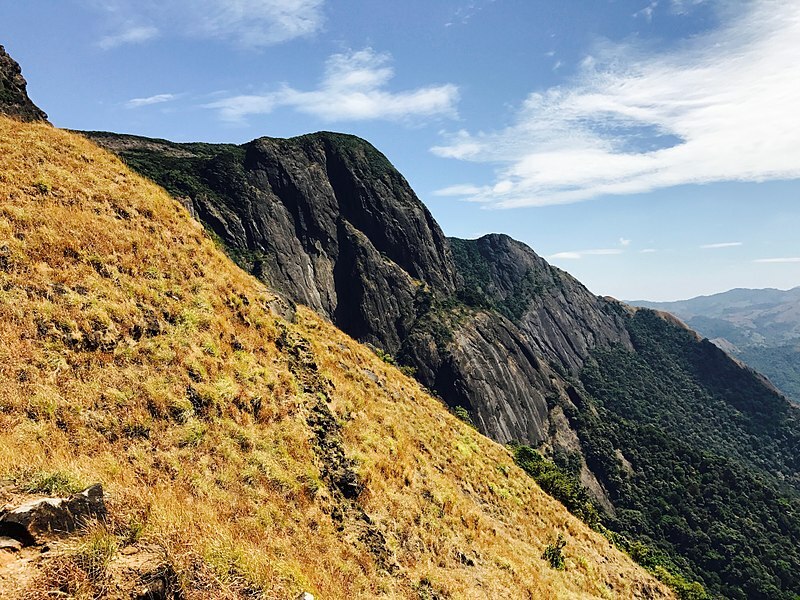 At 1,712 metres, Kumara Parvatha is clearly a high peak and ranks number six in Karnataka. The best months to trek here are between October to January and June to September. The trek unfurls scenic landscapes as you tread up. Gear up for a tiring trek and get ready to take a mix of both moderate and difficult trails. There are two routes to take. The starting point of this 16-kilometre stretch could be Bidalli from the Somwarpet region or Subramanya from the South Kannada side. It is a moderately steep trek. Although some parts are muddy, the path is well marked with signage. Leeches are commonly encountered here, thus, it is advisable to stay weary of them and check your socks regularly. As you begin the trek, you will reach a dense forest. On crossing this, the twin peaks of Shesha Parvatha and Marigundi will reveal themselves. Camping is something that cannot be done at the Parvatha. As an alternate, you can camp at the forest department office or mantapa nearby. Booking to stay at Bhatru Mane can be made in advance. Sunset points lie close to it and can easily be accessed from the spot. After a long trek, the next stop for you to rest will be at Kallu Mantapa. To put it simply, the trail follows the route from Shesha Parvatha to Kumara Parvatha. The best way to go about it would be to get all camping and trekking permissions in advance, and having booking for the night halt made earlier. You’ll need to register with the Forest Department officials before you start your trek as this is mandatory. Carrying first aid, water and food supplies can be an advantage here. The only option that you’ll have for getting food is at Bhattare Mane, which is the last rest stop. 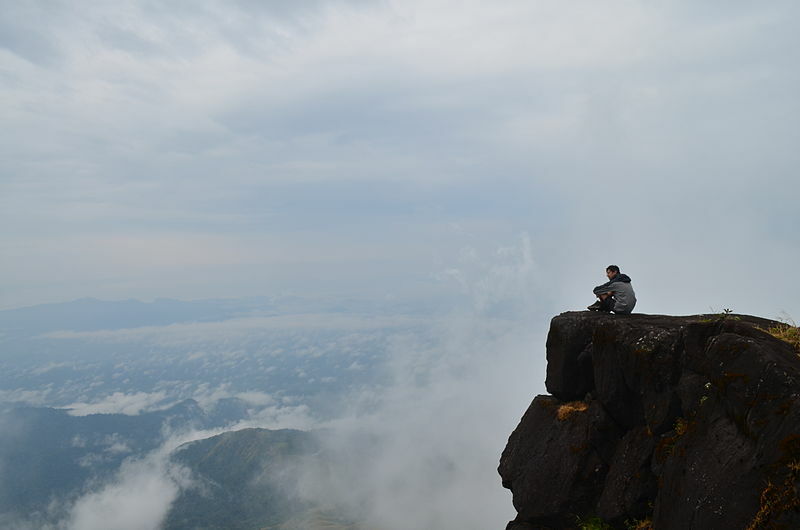 You can spot lookout points along the way that offer beautiful views in every direction that you can possibly turn. In some parts, the trail can become very steep and it can turn into an almost vertical climb. One side of the trekking trail will open out to a sheer drop of 2000 feet, so this trek is definitely not for the faint at heart. However, if you are prudent and exercise the necessary precautions, you can enjoy this once in a lifetime opportunity. From seasoned trekkers to rookies, Kumara Parvata attracts everyone with its scenic hills and adventure options. There are beautiful views that uncover all along the way. You can head to the waterfalls after spending a day trekking. On your way back, make sure to stop by Kukke to visit the Kukke Subramanya Temple. While trekking, you can easily spot the lights of the town of Somwarpet of Kodagu (Coorg), as the Parvat lies between Kodagu and Dakshin Kannada. The nearest airport to Kumara Parvatha is Mangalore Airport, which is about 155 kilometres away and is the best way to reach there. The second closest is Kempegowda International Airport which lies approximately 272 kilometres. If you plan to board a train, you can take the one at Mysore Railway Station or Hassan Railway Station as these are the closest to the Parvatha. Besides that, Bangalore Railway Station has trains reaching close to Kumara Parvatha. From there, you can take a cab to reach the Parvatha. Drive down from Hassan, Mysore, Mangalore or Bangalore or simply hop onto the buses plying regularly from these bus stations to Pushpagiri Wildlife Sanctuary.